Rome City & Urban Superbia: Drawing the Invisible workshop took place in Rome during 13 – 17 December 2011, as part of the Urban Transcripts 2011: Rome, the accidental city international workshop on the city. Drawing the Invisible workshop was developed and led by myself (also a Curatorial Committee & Project Review Committee Member) as the guest tutor responsible for the development of the creative methodologies of urban research, exploration, analysis, and design (including the workshop phases planning), together with Dr Claudia Faraone as the host tutor responsible for the thematic framework (Superbia/Pride) of the workshop, and for organising and conducting the one-day urban exploration of Rome. 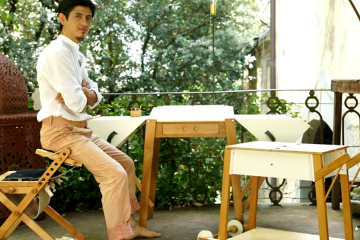 The workshop was academically accredited by Università degli Studi Roma Tre and took place at its DipSU studios. Workshop participants included an international group of students with a background in architecture, urban planning, digital media and other fields. The workshop participants were: Gebriel Admassu Askabe (Polytecnico di Milano), Aslihan Ay Güngör (Istanbul Technical University), Sepideh Farjami (Polytecnico di Milano), Kyriaki Goti (Aristotle University of Thessaloniki), Surajkumar Nandakumar (Polytecnico di Milano), Zohreh Shaghaghian (Polytecnico di Milano) and Gregory Tsarouhas (Democretian University of Thrace). 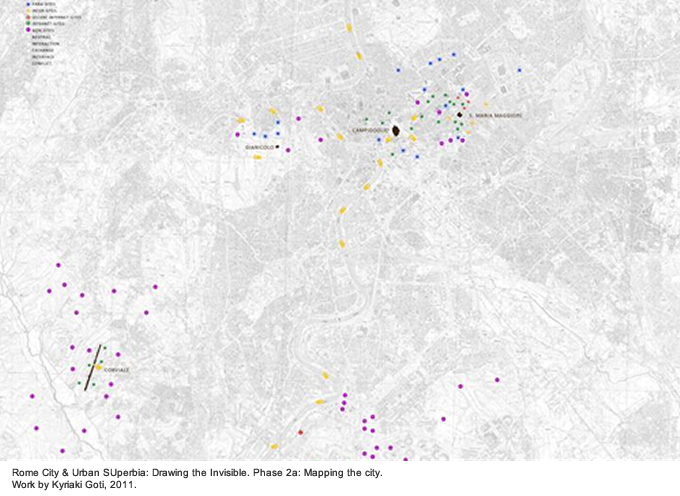 Through innovative cross-disciplinary methodologies of urban investigation, a set of urban issues and a theme were explored with reference to a particular geography of the city of Rome. One of the main objectives for the participants was to gain a ‘sharpened’ vision for comprehending the city as a complex interactive system. The workshop enabled the development of collaborative strategies that challenged conventional methods of urban analysis and disciplinary boundaries, while encouraging creativity and originality. The main pedagogical elements of the workshop included an urban exploration, a series of group work sessions and tutorials, complemented by various activities, such as lectures, an exhibition and social events. 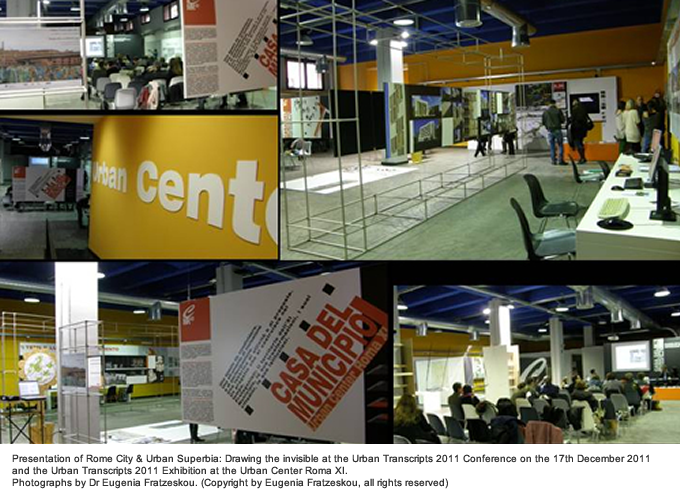 The outcomes of the workshop were presented to a large number of professionals and the wider public during my presentation of Drawing the Invisible project work at the Urban Transcripts 2011 Conference on 17th December 2011 and the Urban Transcripts 2011 Exhibition (Urban Center Roma XI, Rome). In the context of the Drawing the Invisible workshop unit, the aforementioned “confrontation” has been explored as occurring between an evolving urban superbia and the notion of interstitiality. In the context of the city of Rome, ‘superbia’, is synonymous to ‘pride’, and characterises the privileged, exclusive ‘high’ places that command physical and visual, as well as historical and social authority over the city. Superbia is often understood as something that can be visible, mappable, known, controlled, sometimes emerging as being hierarchical in the urban space and territory. On the other hand, the emerging notion of interstitiality characterises the fragmentary city growth and our life in contemporary cities with its elusiveness, as always evolving and accidental. The accidental is made apparent through the contrasts and the complexity of the urban forms in relation to the city skyline and their context. The confrontation between superbia and interstitiality has been explored through discovering and exploring the previously unseen and unnoticed interfaces, interactions, conflicts and exchanges between the unsettling spatial, informational, architectural and cultural city-layers that can be connecting or disruptive in a variety of ways. Drawing has been used not only for ‘interpreting’ and ‘unraveling’ the multi-layered city of Rome through analytical visual mapping based on direct observation across the urban fabric of the city, but also for proposing interventions into the city through engaging with what can be termed inter-sites, non-sites and para-sites. Drawing the Invisible provided the opportunity to the workshop participants to challenge spatial and disciplinary boundaries alike, by developing innovative drawing-based approaches by means of various media. The workshop participants engaged with the city both at ‘macro’ (city-scape/views) and ‘micro’ (neighbourhood/building unit/particular location) levels ranging from the robust urban materiality of the city to its liminal zones in both the physical and the immaterial sense, focusing on ad-hoc or ‘nomadic’ neighbourhoods, urban voids, the common resources of the city that can be freely accessible, places that lack ownership, the invisible digital cityscape with its non-linear ebbs and flows, etc., in contraposition to the science & technology ‘pride’ as reflected in the most daring buildings, the invisible panopticon and surveillance networks, the state buildings across the city and finally, the purism and idealism of certain urban fragments. Drawing the Invisible has enabled participants toexpand and transform the notion of the panorama, in order to achieve an interpretative process of urban research that would function as an “operative drawing”. The notion of ‘transcript’ has inspired the development of combined strategies of drawing, layering and urban research, including various means and processes of visualisation, documentation and output. The layers of analysis and the frameworks of observation have been combined during the exploration process and its outputting. By working with layering and perception, it has been possible to explore how perception works as connected to sight and experience, in relationship to the processes of drawing, digital media e.g. digital visualisation, 3D architectural modelling and diagramming, photography and video, for capturing the space and immateriality of the city, in a variety of creative ways. As a designed environment, built space is a fragment of an excessive superimposition of dynamically interacting algorithmic, geometrical, topological and structural grids. 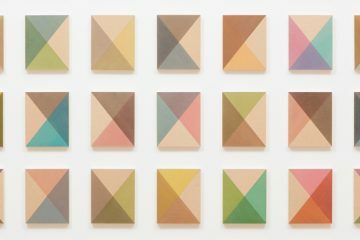 One of the most challenging possibilities arising (and one of the most important aims of Drawing the Invisible), is to creatively reveal the various interstitial spaces and dynamics of emergence that stem from a multi-layered field of complexity; from the transitional states of spatial transformation and exchange. New types of drawing-based methodologies enable the visualisation of such invisible imperceptibles and intermediates at both micro and macro spatial levels. An oscillation between atopias, utopias and dystopias challenges the established borderlines between a plan, a map and a building, as well as their meaning. 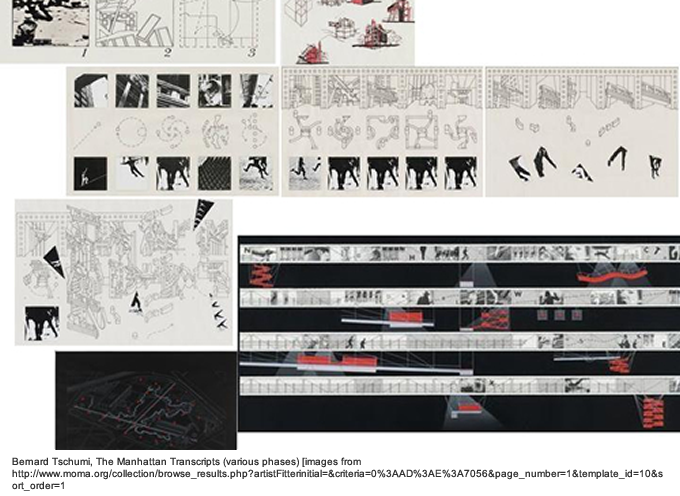 Having Bernard Tschumi’s “operative drawing” as its main focus, the second part of my lecture offers an extensive analysis of drawing, diagrammingand their expansion through high-end endogenic animation and other digital tools. Coined by the architect Bernard Tschumi, “operative drawing” may be created in any discipline, through the use of any medium, provided that it functions as a purposeful activity of critical thinking and positioning. 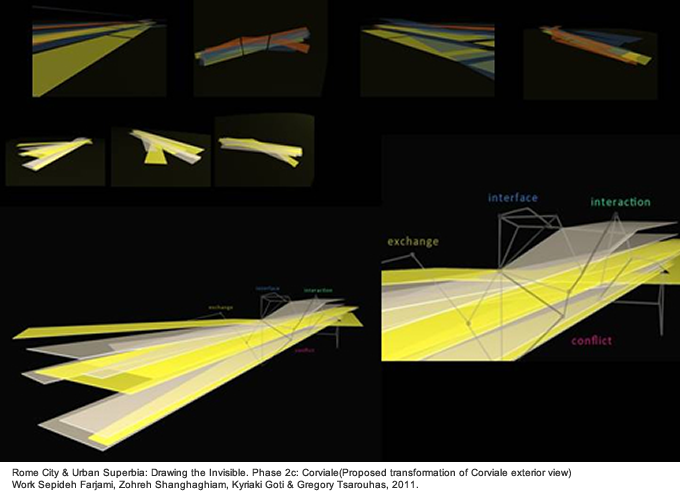 Operative drawing involves the following categories: “conceptual diagram”, “transcript”, “transformational sequence” and “interchangeable scalar drawing”.Through “transcript”, architectural reality can be interpreted, or in other words, ‘read’ through theoretical and non-realistic scenarios. 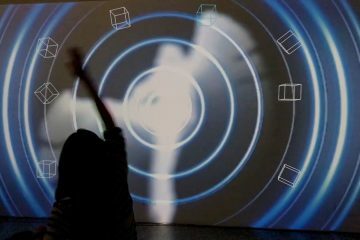 “Transformational sequence” includes animation that can be applied not only to forms, but also, to spaces and programmes. Process and end-product are of equal importance. According to Henri Lefebvre, despite the fact that an “induced” difference derives from the existence of “opposition”, it does not undermine but “remains within” the system it constitutes. On the other hand, a “produced” difference derives from the existence of “contradiction/ transcendence” because it “presupposes the shattering of a system [and]… it emerges from… chasm”. Transformative series may be either “discrete/repetitive” and thus, mathematically predictable, or “continuous/iterative”. The latter do not have “origins” as such, but “points of departure”. According to the award-winning architect Greg Lynn, depending on the variables used in an animation, the resulting series can be open, if they have an “indefinitely structured system”. Finally, the “interchangeable scalar drawing” is essentially, the combination of all the aforementioned categories into a “singular heterogeneous transformational concept”. In contemporary architecture and the related fields of spatial practice, the notion of operative drawing has been continuously changing with the aid of VR. Essentially, operative drawing occurs between its visual manifestations as a field of potentiality that unfolds in time. Lynn’s workis a characteristic case of how the notion of operative drawing can be expanded in relation to interstitial space, through digital endogenic animation. As opposed to the traditional “flat-earth stasis”, the formal purity and autonomy of mainstream architecture, interstitial spaces emerge through the “collaboration of enfolding a context and unfolding an object”. Space is designed through a dynamic interaction between micro and global landscapes, where virtual force and motion are stored in “curved gradient tectonics”. A form becomes a complicated and evolving site. Operative ‘tracings’ can be found in Lynn’s architectural designs, whose creation has been inspired primarily by the elements of flow and passage. Interstitial space has been one of the dominant elements of Peter Eisenman’s architectural practice, both in terms of design process and end-product, as it introduces the element of the unexpected to the design process. The notion of interstitiality is closely related to the workings of a diagram as ‘occurring’ between the stages of a project’s completion. The digital diagramming for projects such as the Wexner Centre, is based on the processes of “mapping” and “artificial excavation”. 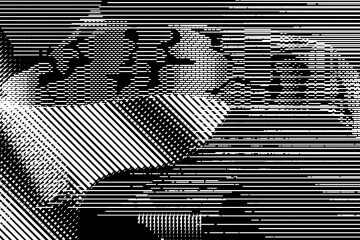 The respective spaces emerge from the virtual clashing of displaced topographical and structural grids. The architectural design elements interact with each other during the design process of imprinting, so that they can alter their contents and in turn become altered. As end-products, Eisenman’s buildings comprise of an accumulation of ‘leftovers’ from various design stages, challenging the functional aesthetics of standard architecture and the linear modes of design processes. Particular cases of how interstitial spaces are investigated in my practice were also presented as part of my lecture. In my work, new modes of site-specific drawing are developed in semi-immersive virtual environments (Boolean Cubes: Rotation & Intersection series, initiated in 2004), enabling the tracing and interaction with the half- and by- products of algorithmic flows that remain unbuilt, with their meta-dimensionality and the emerging paradoxes, through different modes of innovative spatial intervention. Moving to the level of city panoramas and observational drawing, the project Drawing the Unplanned City consists of a series of drawings of the city of Athens (exhibited in Urban Transcripts 2010 international exhibition).The main focus has been the uncontrollable and disorderly expansion of Athens that has been taking place simultaneously across its vertical and horizontal spatial axes. A broken and disorderly kind of urban grid is revealed, as we gain an overview of this unplanned city. The traditional notion of the horizon and the qualities of locality are diffused, as an expanding inter-scalar maze of building structures emerges before our eyes. Drawing is used as a process of a spontaneous reading of the city, as well as a process of creative visual abstraction. An idealistic and generalised point of view as a way of ignoring the existing patchwork of the heterogeneous architectures of the city is avoided. Pencil smudges and delicate delineations form ambiguous ‘liquid’ architectures on the semi-transparent, smooth and fragile surface of the tracing paper. An interesting contrast emerges between the qualities of these ‘architectures’ and the materiality, weight, solidity, rigidity, roughness and apparent stability of the newest architectural forms that dominate the city-scape. In this way, the drawings invite a rediscovery of the city, its fragility, and futility. The city can be perceived as an unfinished scenery of constant change. Certain drawings show spaces that are normally unseen and ignored as they lack aesthetic value, they are parochial or simply forgotten. Interesting contrasts and unexpected combinations inspire a creative exploration of various architectural sediments, indirectly revealing what we either take for granted or we do not normally notice. 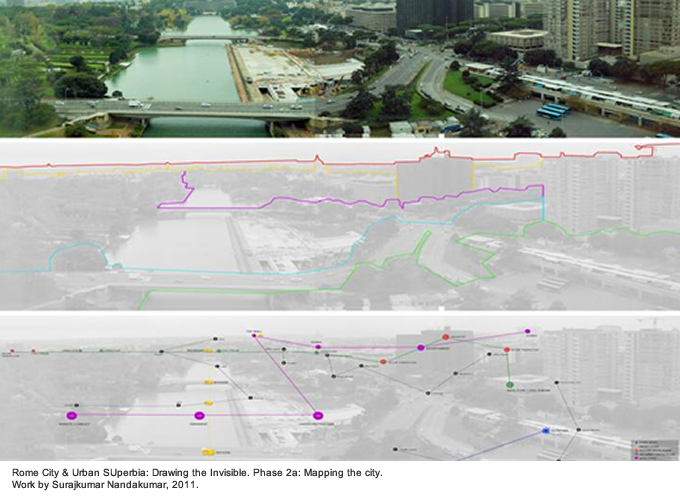 The first phase of Drawing the Invisible involved the experiential mapping of the city and data collection. The experiential reading and transitory mapping of the heterogeneous city-scape commenced with a urban exploration of Rome with a one-day city walk. Participants collected information by using their preferred means (photography, video, mobile devices, drawing, notes and others). 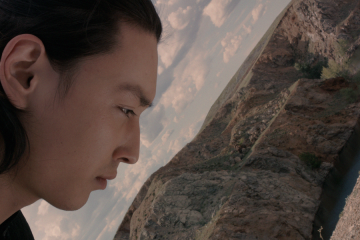 The aim was to develop new ways of seeing, challenging what we normally take for granted or escapes our attention. The emphasis was placed on identifying and mapping the by- and half- products of architecture and urban planning, the accidental and incidental properties of the city as found in emergent territories, underdeveloped areas, as well as in areas of complexity and ambiguity. Representing more than a mere typology of space, superbia suggests the exclusivity of the vision of the city as viewed from privileged places that sometimes may be unknown or unfamiliar to most people. They may include not only the views of the historical part of the city as seen from hills, but also private terraces in high-rise buildings of social/public housing. In this thematic framework, the notion of the accidental can be found in unexpected overlapping views as seen from different perspectives and places. Different types of superbia can be deciphered within the city. These types may be related to landscape/terrain (the Capitoline Hill where the City Municipality House is situated and the attractive Gianicolo that represents an ideal vision of the city), luxury living and its exclusivity (penthouses, shopping malls), sacral sites (Santa Maria Maggiore), urban constructions such as towers and monuments spanning from those of the Ancient Rome to the ones of Fascism (Vittoriano). The key locations of the participants’ urban explorations have been Corviale and EUR due to their controversial status and particular geographic and architectonic features. Being one of the tallest buildings of Rome, the rationalist-style EUR – named after the intended Esposizione Universale Roma world fair of 1942 – is representative of the powerful and grandiose architectonic gestures of Fascism. As we look down at the city from EUR’s top, we gain a panoramic view of its business district that includes a web of government ministries, offices, apartments, with the ENI – the Italian multinational oil and gas company headquarters – at the center. Following the Second World War, the Modern city “monumentality” that was produced in the eighties, included highly intensive tower-based social housing projects. There is a shift from the “monumentality” that communicates power through architecture, to the “utopia” of the Modern Movement urban planning that aims to satisfy social needs. The huge demand for housing has been answered by Corviale, almost a kilometre long building that is said to be so massive and robust as to break the Ponentino wind. During the first part of the second phase of Drawing the Invisible, participants were invited to develop new types of drawing as a way of ‘reading’ the city, not only to reveal what is normally invisible, but also to expand the definition and interdisciplinary potential of drawing as a means of spatial and urban interpretation and analysis. 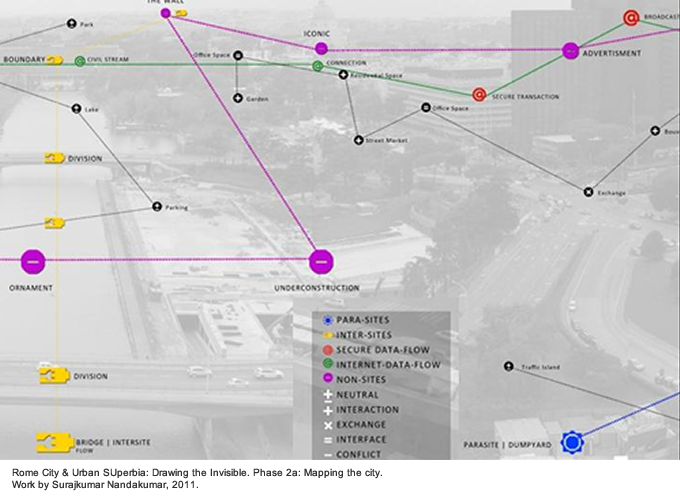 This phase was accomplished through combined strategies of mapping, drawing, layering & urban research. 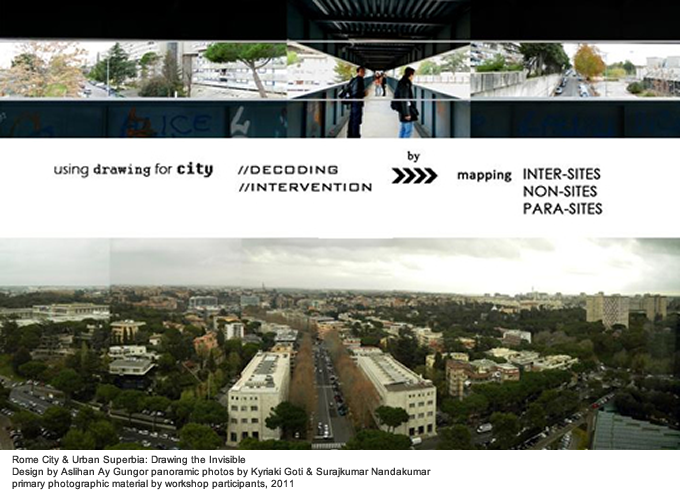 Having EUR – a kind of ‘city panopticon’ – as their main viewpoint, the workshop participants devised special processes and codes for enabling a detailed mapping not only of the various city-layers of Rome, but also, of their relationships & the emerging interstitialities. The participants took various photographs from the highest points of the EUR building during their urban exploration of Rome. These photographs were used for creating city panoramas. The visual planes of those panoramas were hierarchically defined through colour-coded delineation. In that way, a study of city-layers was accomplished through the analysis of city-planes and the tensions between the ‘built’ and the ‘unbuilt’. Mixed visual strategies and processes were developed for identifying and analysing the city co-ordinates, developing the appropriate iconography and symbol-chart, interpreting and mapping the dynamic relationships between the multiple city-layers and sight, and unfolding the city in plan. The introduction of the colour and symbol coded parameters of the city has been of major importance. These consisted of what can be defined as the ‘inter-sites’ (traffic junctions, water flow, bridges, etc. ), ‘para-sites’ (dump-yards, ad-hoc development, illegal building extensions, etc.) and ‘non-sites’ (unbuilt areas or sites that are under construction, etc.) of the particular area of Rome, posing as the characteristic by-products of its urban superbia. The investigation also included the various ebbs and flows of the invisible layers of the city internet zones (civil streams, protected zones, etc.). The emerging relationships of those city-layers were subsequently mapped through devising a simple chart of symbols in order to mark the ‘neutral’, ‘interaction’, ‘exchange’, ‘interface, ‘conflict’ areas. The city mapping was then transferred from the panoramas to the city plan, by using the same mode of mapping, thus inspiring new operative ways of interpreting the topography of the city and developing mixed strategies and processes of digital diagramming. 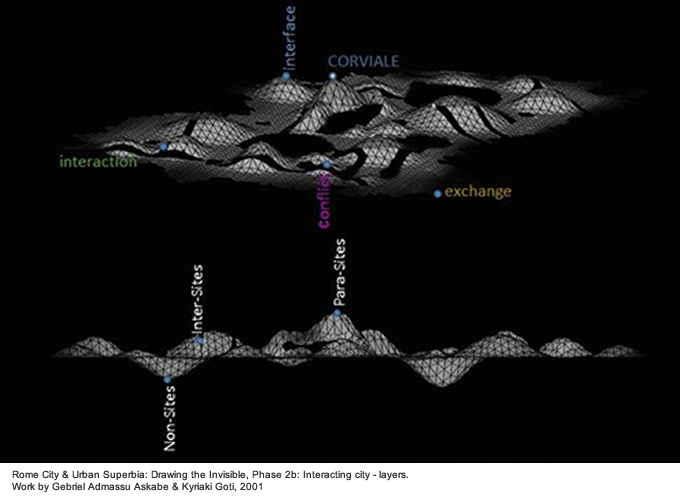 In the second part of the second phase of Drawing the Invisible, the participants developed combined modes of 3D terrain mapping and modelling for visualising the imperceptible interstitiality of the city emerging from its interacting city-layers, causing terrains of complexity to be formed. The mapping system of the previous phase was used in conjunction with particular co-ordinates that showed the areas where dynamic interactions operated between city-layers, in order to visualise the terrains in direct relation to the city plan. Developing mixed processes of digital drawing for visualising and exploring in depth the ‘dialogue’ between the emerging terrain morphology and the city plan, has been the most significant stage of this final phase. As the terrain emerges from the interactions, conflicts and exchanges of the immaterial and the material dynamics of the city, its most important characteristics are the elements of porosity and fluidity, as reflected in its morphology and surface qualities. Such a terrain of interstitiality proposes a way of visualising those city dynamics. The quality of the boundaries between the city plan and the terrain is determined by the respective adjustments that have been applied to the geometry and the transparency of the terrain in relation to the map and the city co-ordinates. 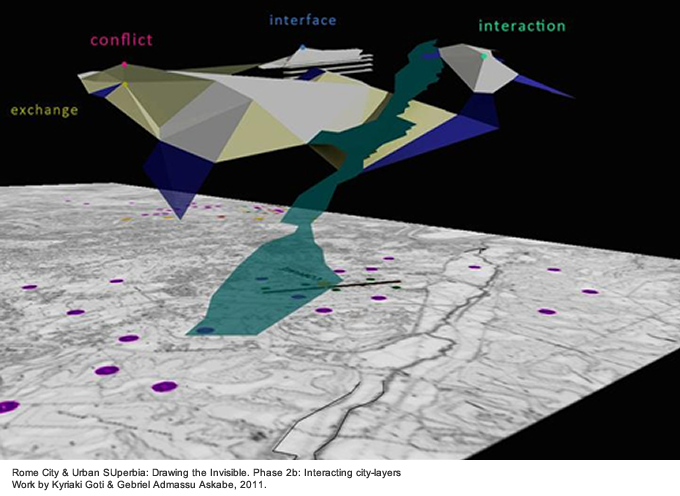 At a relatively ‘micro’ level of locality, it is possible to identify consistently recognisable types of para-sites (as an excessive juxtaposition of polygons, for instance), non-sites (as voids/breakages) and inter-sites (as intersected polygons),as well as and their interactions. In this way, this terrain reveals the overlooked city-layers and their interactions, and offers the basis for progressing to the next phase of the project in which city interventions are proposed. During the third part of the second phase of Drawing the Invisible, the workshop participants focused on the building of Corviale that has raised much controversy and debate in terms of its role, as well as the possibilities of its reprogramming and regeneration. Being an almost one kilometre long, Corviale poses as a city wall that radically ‘intervenes’ into the cityscape. The workshop participants devised methods for creatively challenging Corviale’s ‘monolithic’ and ‘rationalistic’ character, through ‘breaking’ its fundamental conceptual and structural element, that is, its Cartesian system of spatial axes that structurally determines the core of the building as reflected in Corviale’s long corridor and the central vertical voids. The aim to renegotiate the existing monolithic and regulatory boundaries of Corviale has been accomplished through devising a strategy of simultaneously ‘enfolding’ the city context of Corviale, while ‘unfolding’ the Corviale building. The new spatial system that has been developed for realising that aim has included not only internal but also external co-ordinates of interstitiality and their dynamic interactions. In this way, it was possible to surpass the outworn logic, assumptions and limitations of the Cartesian spatial system that reinforces the superficial notion of a fully controlled, ordered and inert kind of space. This phase commenced with the analysis of the participants’ photographic documentation and observational sketches from their visit to Corviale during the urban exploration phase. The objective was to identify the types of ‘para-sites’ e.g. re-appropriated areas by homeless people and illegal building interventions, of ‘non-sites’ that include disused or forgotten spaces, and the types of ‘inter-sites’ such as the internal, external hallways and junctions. These kinds of space are the emerging and accidental by- and half- products of Corviale in terms of its architectural entity and status as a social housing ‘solution’. The latter is contrasted to its inhabitants’ uses, appropriations and other uncontrollable factors, such as city dynamics, the inevitable ‘intrusion’ of decay, etc. The colour-coded analysis of the building revealed the previously ignored ‘parameters’ of Corviale and inspired participants to develop a new ‘spatial axes system’. The various physical and imperceptible ‘sediments’ of Corviale have been revealed through a series of transformative interventions into its boundaries. As the various interacting co-ordinates of the external and internal kinds of interstitiality leave their ‘trails’ onto Corviale’s boundaries, these boundaries become porous, unsettling and transitional. Such dynamically evolving co-ordinates intervene into the Corviale site and building so as to transform them into an an assemblage of colour-coded layers of planes having irregular cuts that cause the rotation of those assemblages, offering a fragmentary orientation and various ‘broken angles’ for gaining an unconventional viewpoint not only of the city, but also, of Corviale itself. What used to be visible becomes invisible and vice versa. At the final stage of this phase, digital diagramming is used also for revealing a ‘parasitic’ web-structure occupying the layered planes of Corviale, through mapping how the dynamically interacting immaterial and material city-layers influence Corviale as a system of city co-ordinates. 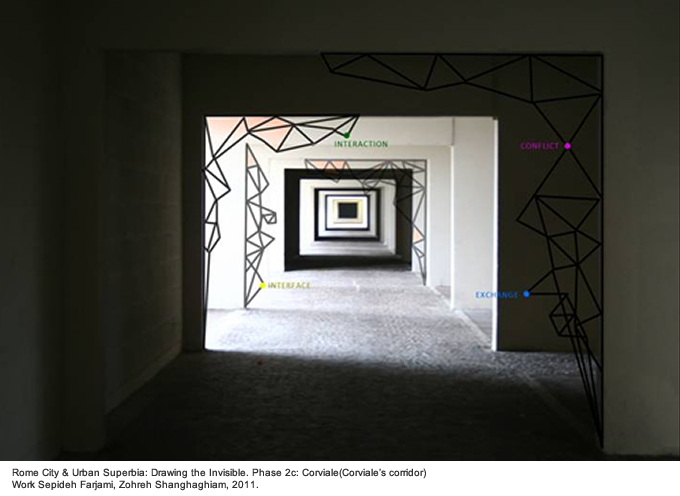 Moreover, the ways in which the interior corridor, which dominates Corviale, is affected by such transformations, are visualised through a polygonal multidimensional web of various types of influence as mapped onto the respective photographs of the particular corridor. 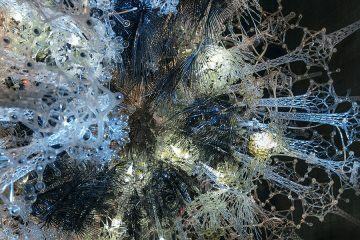 Drawing the Invisible has been an ambitious project, as it involved complicated concepts and challenges expanding into an interdisciplinary research field. Drawing the Invisible has enabled the creation of new drawing methods and tools that are of relevance not only to architectural design, but also, to other kinds of spatial practice and research. Participants have developed their creativity, originality, problem-solving and professional skills through their collaborative work as a group. The drawing methods that have been devised, are operative as they have enabled a critical and analytical mapping of the urban environment that has inspired and made realisable the development of highly rich and stimulating modes of ‘interpretation’ and ‘intervention’ into the city at a macro as well as a micro scale. As the workshop unit has been realised in the midst of a developing national discourse and competition for regenerating and reprogramming certain of the sites visited i.e. 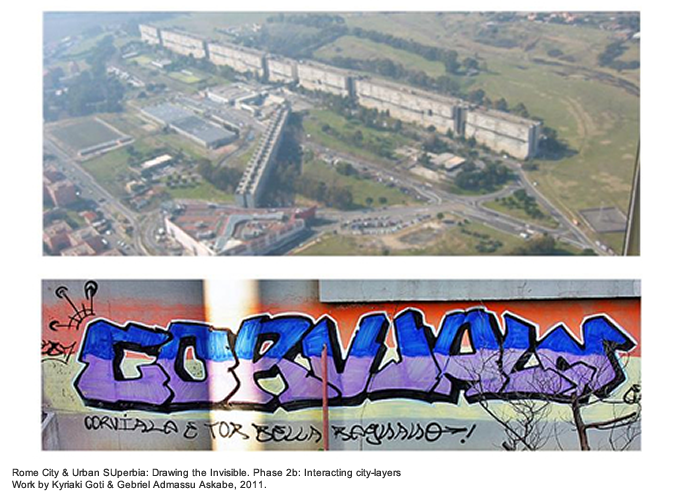 Corviale, the outcomes of the workshop demonstrate an interesting potential with regards to enabling an interesting and distinct contribution to this field, in terms of design strategy, process and thinking, instead of simply offering a superficial negation of the existing conditions or attempting to uncritically beautify and make desirable the particular sites. Drawing the Invisible has enabled participants to evaluate how their vision of and engagement with the city have changed, to position and evaluate their work both in terms of process and outcome, and most importantly, to carry forward the challenges and possibilities that arose through their participation in the workshop. As stemming from the formal assessment of the outcomes during the participants’ Workshop Presentation at DipSU, as well as from participants and attendees’ interest and enthusiastic feedback during the Conference day at Urban Center Roma XI, the Drawing the Invisible outcomes have been of high quality and of promising potential for future expansion. Future development may include the creation of interactive online mapping systems complemented with tailor-made haptic interactive mixed-reality applications, and virtual environments, in order to advance the outcomes of the workshop unit even further, through the involvement of a larger collaborative interdisciplinary network of architects, computer scientists, artists and others.Drawing the Invisible is currently expanded further as an independent initiative and a dedicated blog has been created for this purpose. The Drawing the Invisible Blog functions as a digital platform, promoting the initiative’s series of past and forthcoming international activities and projects, developing an online forum, facilitating the announcements of its members activities, and supporting the dissemination of the relevant resources including research material and publications. – Fratzeskou, Eugenia & Claudia Faraone, Rome City & Urban Superbia: Drawing the Invisible, in Urban Transcripts 2011 Workshop Programme, http://www.urbantranscripts.org/documents/UT2011_04_workshop_programme.pdf, pp.10-15. – From the introduction to the Manhattan Transcripts in Damiani, Giovanni ed., Bernard Tschumi, Geneve: Skira, 2003, p. 34. 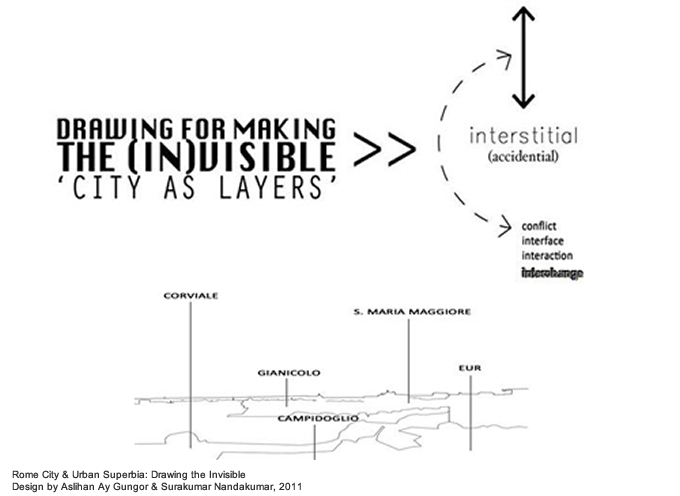 – Fratzeskou, Eugenia, ‘Rome City & Urban Superbia: Drawing the Invisible –Working Methods’, in Cities Methodologies Lecture 1, Urban Transcripts 2011: Rome, the accidental city international workshop, Roma Tre University, Mattatoio, Rome, 13/12/11. – Haque, Usman in Going Aerial. Air, Art, Architecture, ed. Monika Bakke, Jan Van Eyck Academie, Maastricht, The Netherlands, 2006,pp. 64-66, 72, 75, 77. – For an extensive investigation on interstitiality and drawing refer to Dr Eugenia Fratzeskou’s postdoctoral research papers published in Digimag (Digicult): http://www.digicult.it/en/Archive/EugeniaFratzeskou.asp [EN], http://www.digicult.it/Archive/EugeniaFratzeskou.asp [IT], Eisenman, Peter, Diagram diaries, London: Thames & Hudson, 1999, Fratzeskou, Eugenia, “Inventing New Modes of Digital Visualisation in Contemporary Art” in Special Issue “Transactions,” Leonardo 41, No. 4 (2008), p. 422, Fratzeskou, Eugenia, “Unfolding Space”, in I SEA2010 RUHR: Conference Proceedings, http://www.isea2010ruhr.org/files/redaktion/pdf/isea2010_proceedings_p53_fratzeskou.pdf, pp.491-2, Fratzeskou, Eugenia, Visualising Boolean Set Operations: Real & Virtual Boundaries in Contemporary Site-Specific Art, LAP – Lambert Academic Publishing, 2009, Fratzeskou, Eugenia, New Types of Drawing in Fine Art: The Role of Fluidity in the Creation Process, LAP – Lambert Academic Publishing, 2010, Fratzeskou, Eugenia, Operative Intersections: Between Site-Specific Drawing and Spatial Digital Diagramming, LAP – Lambert Academic Publishing, 2010. – Tschumi, Bernard, “Operative Drawing”, in De Zegher, Catherine & M. Wigley, eds., The Activist Drawing: Retracing Situationist Architectures from Constant’s New Babylon to Beyond, MIT Press, 2001, pp. 135, 137. Tschumi, Bernard, Architecture & Disjunction, MIT Press, 1996, pp. 165-166, 196-197. – Lefebvre, Henri, The Production of Space, (tr. D. Nicholson-Smith), Blackwell, 1991 (1974), pp. 372-374. – Lynn, Greg, Animate Form, New York: Princeton Architectural Press, 1999, pp.33, 39. – Ibid. For an extensive essay of Greg Lynn’s work also refer to Fratzeskou, Eugenia, Operative transformations ( Parts 1-2), in Digimag Issues 66 (July-August 2011), & 67 (September 2011), http://www.digicult.it/digimag/article.asp?id=2120, http://www.digicult.it/digimag/article.asp?id=2146. – Lynn, Greg, Animate Form, New York: Princeton Architectural Press, 1999, pp. 29 – 30. – Ibid, pp. 10 – 11, 13, 14 – 15, 18, 25 – 26, 108, 124-125, 143, 150. 152, 165. – Eisenman, Peter, Diagram diaries, Thames & Hudson, London, 1999, p.34. Anthony Vidler, The Architectural Uncanny: Essays in the Modern Unhomely, MIT Press, 1992, pp.119, 194, 196 (see also pp. 118, 121). – Selected phases of the series has been shown in several occasions including ISEA 2010 Ruhr and ISEA 2011 Istanbul [refer also to Eugenia Fratzeskou, Visualising Boolean Set Operations: Real & Virtual Boundaries in Contemporary Site-Specific Art, LAP – Lambert Academic Publishing, 2009 and Fratzeskou, Eugenia, “Inventing New Modes of Digital Visualisation in Contemporary Art” in Special Issue “Transactions”, Leonardo 41, No. 4 (2008)]. – Fratzeskou, Eugenia, ‘Drawing the Unplanned City’ project, shown in Urban Transcripts 2010: Athens, urban (r)evolution through individual spontaneity in the absence of planning”, Kollektiva.net/Booze Cooperativa Gallery, Athens, 16-26 December 2010. http://www.urbantranscripts.org/2010/urbantranscripts.swf. A detailed report on the project in Fratzeskou, Eugenia, ‘Urban Transcripts 2010: Over the Skin of the City’, Digimag, Issue 62, March 2011, http://www.digicult.it/digimag/article.asp?id=2007.